• Acquisition of a property of minimum 250.000 euros. • Full family residency (spouse, children up to 21 and parents of the spouses). • No minimum stay requirement. • EU Schengen visa travel. • Excellent health care and educational system. 1. 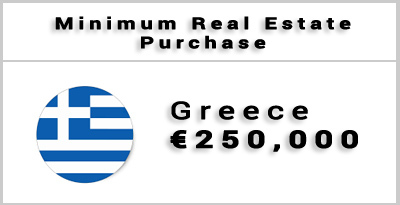 I am a third country national and I own or I wish to purchase property in Greece, as an individual. Can I apply for a residence permit in Greece? Yes, you have the right to apply for a residence permit for owners of real estate property, provided the value of the property, as referred to in the contract of purchase, is at least €250.000. This residence permit (Article 20B, Law 4251/2014, as it stands) can be renewed every 5 years provided you are still the owner of the property. 2. I am a third country national who has obtained the 5-year “permanent residence permit for investors”, as I am the owner of a €250.000 property in Greece. Do I have the right to sell the property and maintain the residence permit? Yes, you can sell the property, but in oder to maintain the residence permit and prior to selling this one, you should have purchased another property fulfilling the same requirements (Article 20B, Law 4251/2014). 3. Which is the pertinent legislation that provides for the “permanent residence permit for investors”? 4. How can I make the payment for the property purchase? The total amount for the property must have been paid only in one of these two ways (crossed cheque or bank transfer deposit) in order for the third country national to be eligible for this type of residence permit under the aforementioned provisions. 5. Which is the procedure I have to follow? The documents required specifically for a visa in case the purchase has not been concluded yet, are to be found in the Joint Ministerial Decision 68019/2015 (Official Government Gazette B’ 2272). see below, FAQ n. 6. 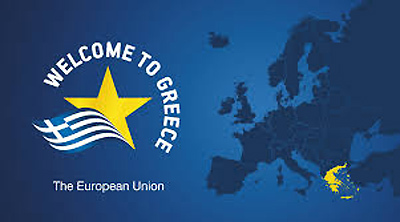 In case you are a national of a third country exempted from the visa obligation, by virtue of Regulation (EC) 539/2001, you can enter Greece with an “entry stamp” on your passport, by the competent border control authority. When you hold the appropriate visa or the “entry stamp” on your passport (due to exemption of a visa type C by virtue of Regulation (EC) 539/2001), you can enter Greece and apply immediately for a residence permit, after all the procedures for the property purchase have been finalized. In any case, you have to apply for a residence permit while your visa is valid. In case the property purchase is not yet finalized and your visa expires, prior to applying for a residence permit, you have to leave the country and obtain a new visa after a period three months (as dictated by the Schengen acquis). To check whether you need to apply for a visa, on the basis of your country of origin, in order to travel to Greece or not, you should consult the relevant list at the Greek Ministry of Foreign Affairs, check: https://www.mfa.gr/en/visas/visas-for-foreigners-traveling-to-greece/countries-requiring-or-not-requiring-visa.html. 6. Which are the supporting documents required in order to apply for a residence permit for real estate owners? • A purchase contract stating that «the contract of sell and purchase of the property is not subject to conditions or exemptions, the total price amounts to …………..which has been paid in full with a crossed bank cheque or bank transaction kept at a bank in Greece or a credit institution under the supervision of the Bank of Greece» and a proof of registration of the contract by the competent Land Registry; • If the amount of payment submitted is smaller than €250,000 but the current assessed value of the real estate property exceeds or is equal to this amount, a certification by a notary is also required, stating: “Following a legal audit of the contract with number ………. for the purchase of real estate property, it can be concluded that the full payment for the purchase of the real estate property has been effectuated, the contract is NO LONGER subject to any conditions, exemptions or deadlines, and the assessed value of the real estate property, as it stands today, is equivalent to the amount of …..”. This is the case for property purchases concluded before Law 4146/2013 came into effect. As for the renewal of this residence permit, what needs to be proved is that the third country citizen has still the full ownership and possession of the real estate property in Greece. 7. Which is the competent authority to apply for the “permanent residence permits for investors”? Where should i submit the application? Applications for residence permits shall be lodged with the one-stop-shop of the Aliens and Immigration Department of the Decentralised Authority in the applicant’s area of residence. The interested party may submit the application for a residence permit, and additional supporting documents in person or through an authorized attorney as their proxy as well as collecting the permit or a rejection decision, or other documents from the file. 8. Can an attorney-at-law, acting on my part, submit the application and collect the residence permit? However, in any case, the applicant has the obligation to visit on appointment the Decentralised Authority, for the purpose of biometric data collection (digital facial images, two digital fingerprints and signature) according to the new application and issuing procedure (in effect from 20 February 2017 onwards) for all residence permits with the form of a single, stand-alone document, also referred to as “electronic residence permits” (Regulation EU 380/2007). 9. I bought a plot of land and wish to construct a building. Am I eligible for a “permanent residence permit for investment activity”? What are the required documents for that? Yes, you are. A third country citizen who purchased a plot of land and intends to construct a building, may apply for this residence permit, provided that the total value of the land purchased and the contract with the construction company is at least €250,000. • Invoices by the contractors and the corresponding proofs of payment. • Private health insurance policy according to required coverage, either concluded in the applicant’s country of origin to provide coverage for the whole length of stay in Greece, or is concluded in Greece for coverage as prescribed in JMD n.53821/2014. 10. What if a legal entity is interested in buying property in Greece? Article 20B, paragraph 1, point (c), Law 4251/2014, provides that a third country citizen who has the full ownership, possession and occupancy of real estate property in Greece through a legal entity whose all stocks or corporate shares are fully owned by the applicant, has the right to apply for the “permanent residence permit for investors”. 11. Can I bring together with me my family members? What are the required supporting documents for them? Yes, you can. Third country citizens may be accompanied by their family members to whom individual residence permits shall be issued following a relevant application, and is valid for as long as the sponsor’s own permit is. (a) the spouse, (b) the direct descendants of both spouses or of either spouse, who are under 21 years of age, (c) direct ascendants of the spouses. Descendants older than 21 and up to 24 years of age, are granted an independent residence permit pursuant to Article 76, Law 4251/2014. A certified family status certificate establishing family relationship in case you have entered the country as a holder of a visa type C. In case you hold a national visa by the Greek Consular Authorities in your place of residence, a declaration that your family status has not changed is required. 12. Do I have the right to apply for “permanent residence permit for investor” if I personally own more than one properties? Yes, you have. You are entitled to residency rights irrespectively of whether you own one or more properties, provided that their value is equal to or greater than €250.000, as mentioned in the purchase contracts and the amount has been paid in one of the two prescribed ways. 13. Do I have the right to work if I am granted the “permanent residence permit for investor”? No, you do not. This residence permit does not give right to access to any type of employment, according to, Article 20, paragraph 6, Law 4251/2014. Employment in this case does not include the exercise of economic activity in the capacity of a shareholder or Chief Executive Officer of companies established before your application for this residence permit. This exemption for economic activity refers to third country citizens who are shareholders or managers of all forms of capital companies (S.A., Ltd, Private limited companies). The family members that have been granted this residence permit have also restricted access to employment. 14. I have a visa or a “permanent residence permit for investor”. Do I have the right to travel to other EU countries? Yes, you have. Due to the principle of equality between residence permits and long-term visas, all third country citizens holders of residence permits issued in one EU member state, or a long-term visa, enjoy the right of free movement within the Schengen area, which means that they are able to travel to other member states for up to 3 months within a 6 month period under the same conditions as those who are holders of residence permits. In addition, they have also the right to multiple entries in the country. 15. As a holder of “permanent residence permit for investor” may I apply for long-term residence status or citizenship? Yes, you can. According to Article 8, paragraph 30, Law 4332/2015, the third country citizen has the right to apply for the long-term resident status, provided they fulfill the conditions of Articles 89 and 90, Law 4251/2014. 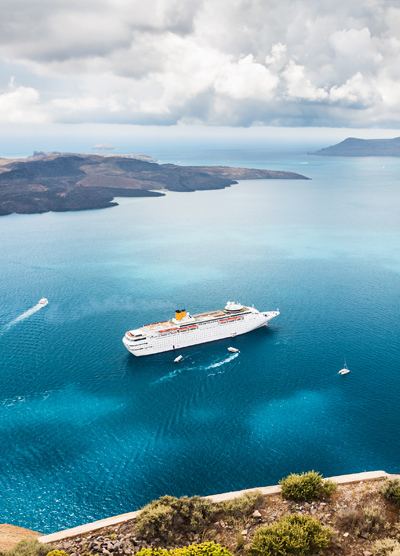 Having been granted the long-term residence status is a prerequisite in order to apply for Greek citizenship by naturalization, provided all other requirements are fulfilled. 16. 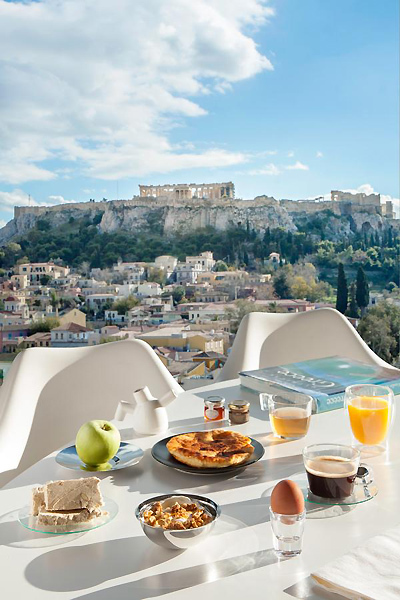 Is there a guide for real estate owners in Greece? Yes, there is. You can download our Brief Guide to Residence Permits for real estate owners in Greece in English, Chinese and Arabic.